POSTS Exercise Bike vs Treadmill: Which Should You Use? Sometimes exercise equipment is confusing. Many people are unsure what piece is best for them. Today we look at the exercise bike vs the treadmill. For most users I’d recommend the treadmill. It’s been the most useful cardio equipment over my years of competing. The bike is better for those with joint problems, or training specifically to target the legs or for biking events. Outside of that I’d almost always recommend the treadmill. 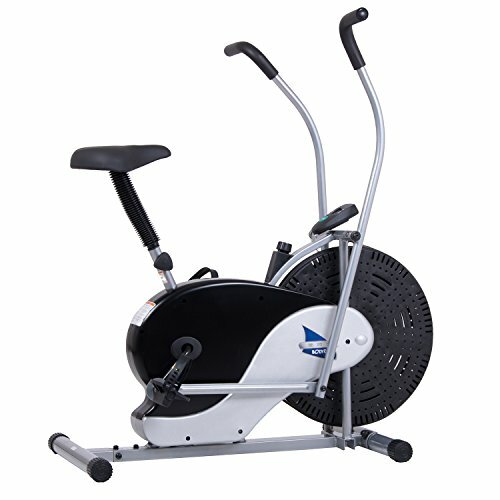 Also for more details on exercise bikes, take a look at our comparison of exercise and spin bikes. Treadmills have been around for centuries and are still a firm favorite in gyms. They give consistent results and work for almost everybody. Because of this almost every gym goer has used one at some time. A lot of people believe running on a treadmill is easier than running outdoors. While this can be true, it doesn’t have to be. Setting the incline to 1% is enough to make treadmill running equally difficult to outdoor running. Also, having an easier run at 0% incline is a good option for some people. Those who are not yet fit enough to handle outdoor runs can have an easier time by starting off on a treadmill. Likewise advanced runners can up the difficulty by increasing the incline. There’s all kinds of possibilities. Using a treadmill basically has benefits for everybody. Working on a treadmill will give you the exact workout you’re looking for. There’s no drop/increase in speed which you could get on a bike, because the belt forces you to move with it. This type of consistency in regards to speed/incline is great for being precise with workouts. You can track results more accurately and you know that you’re pushing hard enough to get the improvements you want. Another small benefit that comes from this is always knowing your exact speed/incline. Bikes can vary a bit as the speed goes up/down and you try to keep it steady. With a treadmill, it’s already steady, you just need to keep up! 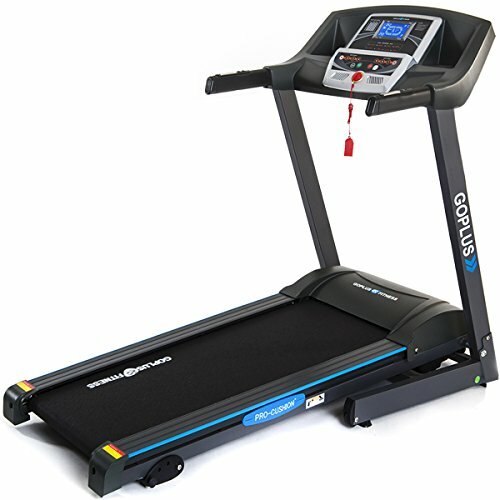 Your joints will thank you for using a good treadmill, such as the True Performance 300, because this type of equipment comes with cushioning systems built in to the deck. That means impact on your joints is reduced when you land, so less wear and tear accumulates over time. 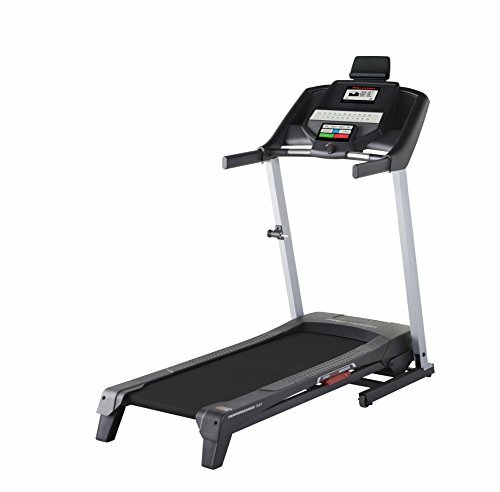 A good, versatile treadmill allows you to do all kinds of workouts. Take the Cybex 750T for example. 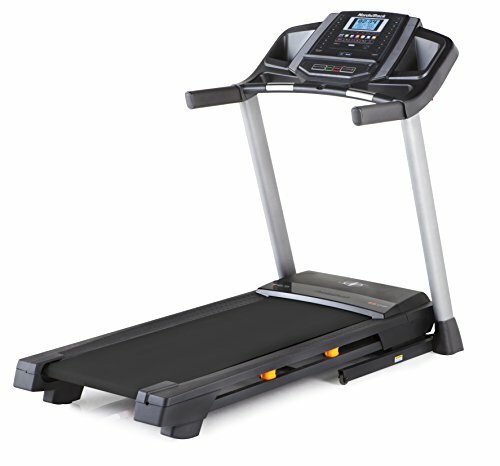 It has a huge speed range, a good amount of incline available, and can even do a negative incline. This means you can work on all kinds of slopes, and the speed adjustment lets you change between walking, jogging, or running. Anything from hill sprints to multi-hour hikes are possible on these machines. Modern treadmills almost all come with at least an aux socket, so you can plug some headphones in and listen to music. Some also come with ability to stream music or listen to the radio. High end models like the NordicTrack C990 even have a tablet holder or TV screen with the ability to watch live, stream or watch vids from external storage. All of this combines to give you a great amount to do whilst running. Some treadmills have certain features to make them more user-friendly. These include cup holders, towel holders, safety clips and heart monitors. There are even some models which come with a fan fitted to help keep you cool! A treadmill has a very flat surface, which isn’t realistic compared to the outdoors. Outside there are all kinds of variations in the ground, some parts are sloped or uneven, different levels of hardness, plus you need to make turns to keep going outdoors – you can’t go in a straight line forever! This uneven ground, turning and changes in surface all help to build agility and mobility within the joints. It also strengthens the small supporting muscles around your feet and joints, which give you extra stability and performance once they are properly developed. Using a treadmill limits all of these because of it’s straight line, perfectly flat design. While your joints are saved from a lot of the impact when using a treadmill, there is still more impact than on a bike. This is because you are still running and your body weight is still slamming down on to your leg & foot with every step. For anybody working on rehab with a weak or injured joint, this is bad. It also limits how often the treadmill can be used by people with pre-existing joint issues. Running involves many muscle groups, including the core and upper body. Running on a treadmill lightens the load on some body parts. The main one is the hamstrings. Because the belt is moving by itself, you use a bit less energy to push off it compared to when you propel yourself off the ground outdoors. This reduces the load on your hamstrings in particular. It’s also easier to slack off with your core & upper body, creating bad form and relying on the treadmill itself for support sometimes. All of this is bad for your general development and should be avoided. While safety can be a plus, with emergency shut-off features and control over settings, it can still be a problem sometimes. This is during high intensity workouts, when you are struggling to keep up and really pushing. Once you cross the threshold and can no longer match the pace, it could cause an injury or other problem. Emergency shut offs only usually work as you are coming off the treadmill anyway. Even turning the speed down is a gradual process, so it’s always possible that you’ll end up having to jump off yourself in an emergency. Stationary bikes are one of the safest pieces of exercise equipment. As long as your position is set properly, there is very little risk. You are in full control of the pedals so if you stop, they stop, unlike a treadmill which keeps on going. 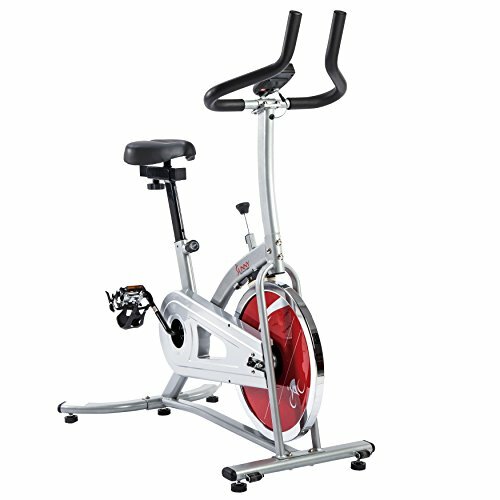 The cost for a decent stationary bike is lower than most pieces of equipment. 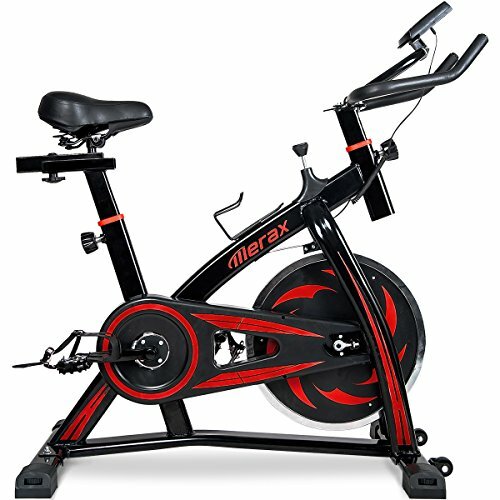 Consider the Bellar Sport Spin Bike, it’s cheaper than all but the most basic of treadmills and still has a good amount of features. Bikes are usually a lot smaller and lighter than treadmills too. This means it doesn’t take up as much ground space and is also a lot easier to move around or store. Home users will find this most appealing. Having one available in your own home is a great help when trying to improve fitness. A high level bike, like the BIKE, will have enough different settings and features to give you a very varied workout. The way a bike does this is by adjusting the resistance, and sometimes also by asking you to keep the bike in a set RPM range. RPM is Revolutions Per Minute, basically it refers to how fast you are pedaling. Raising and lowering resistance can mimic hills and other tough sections, as well as just making a regular workout tougher. The RPM is raised or lowered sometimes instead of changing the resistance. 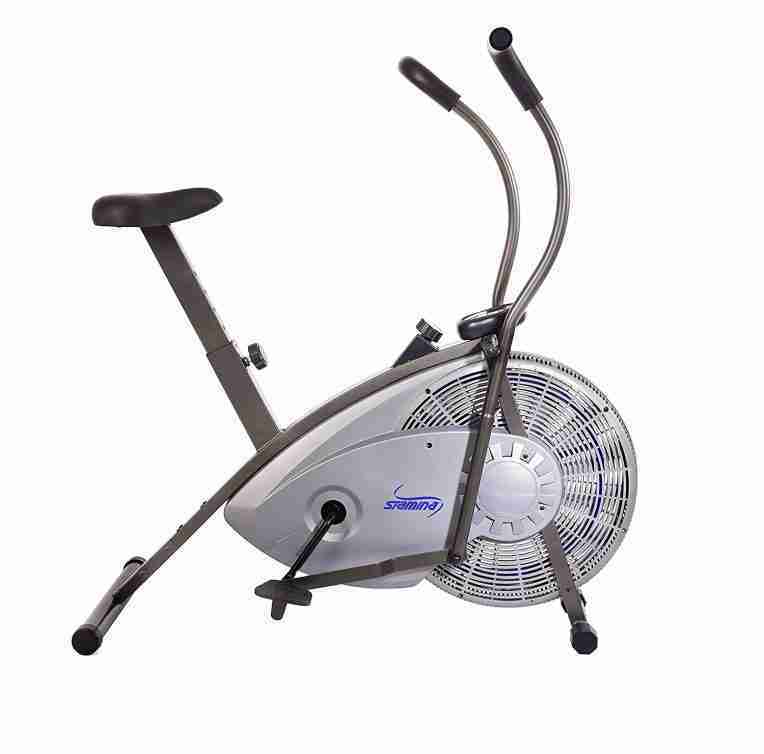 While a treadmill can be gentler on joints thanks to cushioning, a bike puts almost no strain at all on your joints. For people with previous injuries, this is excellent news. 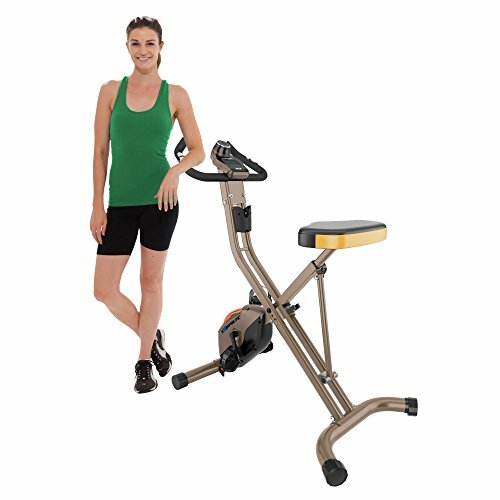 There is no impact whatsoever and the circular motion of pedaling is natural and gentle on the legs. The only area which still gets some wear is the knees, but the lack of impact helps them a lot. 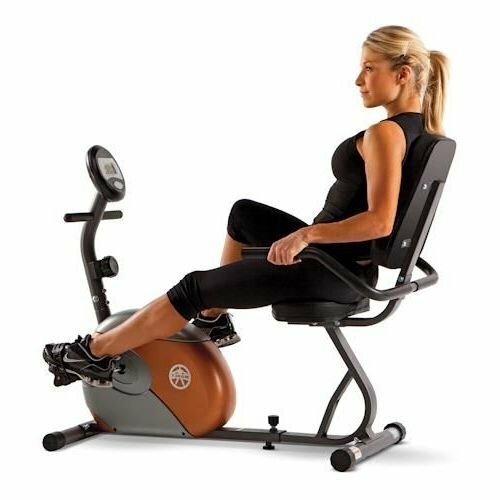 When you use a stationary bike, there is less energy being burned by your body. This is because you are sat down and your legs are doing almost all of the work. The upper body is just there to help you hold your position. Compare that to running where your upper body & core are constantly stabilizing and moving with you to generate momentum. Obviously the treadmill gives a bigger workload, which means it burns more calories too. Unlike the treadmill, a stationary bike can’t really be adjusted to match the outdoor experience. The incline doesn’t change at all so you’re always pedalling on the flat, and there is no unevenness anywhere. Granted, the treadmill stays quite flat too, but changing incline/decline really helps with that. A bike doesn’t have those features, so it can’t try to emulate real-world cycling, despite some great programs being available. With a bike you can ease up on how fast you pedal when tired, which means you might not be working as hard as you wanted to. Then there’s also resistance. Some bikes have numbered resistances, which is great for tracking where you’re at. Others use a dial/knob turning system, which has no marks or measurements, so it can be difficult to know if your resistance is the same as before or higher/lower. For most users I would recommend the treadmill. This is because it gives more overall development. It works your core and even the upper body, plus your joints are going to be strengthened as well. There’s a lot of potential for advanced training too. You get this potential because of variable settings & workouts, plus the possibility to go at high speed/inclines. A bike is recommended for people who are specifically training to ride, or looking for more focused leg development. Some bikes still have plenty of top-end potential as well, so it’s still useful at high levels. You might also be trying to protect your joints by doing very low impact work. The bike would be better in that case too.